CHITTAGONG, Sept 21: Hefazat-e Islam on Saturday threatened to besiege the secretariat if the government did not implement all its demands by January 31 next year. The Islamist group also placed their eight-point list of demands, which includes the release of all its leaders detained for ‘false cases’ across the country. 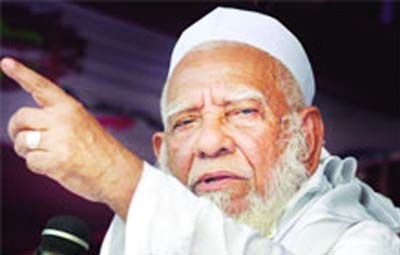 Muhammad Salimullah, joint secretary of Hefazat-e Islam, announced the fresh programmes at the National Olama Mashayekh Conference held at the Al-Jamiatul Islamia Azizul Ulum Babunagar Madrasa grounds in Chittagong. Senior leaders of the Islamist group, including its Senior Nayebe-e-Ameer Mohibullah Babunagari, Secretary General Junaid Babunagari, and Nayebe-e-Ameer Mufti Izharul Islam attended the conference. Hefazat will also submit a memorandum to the prime minister, through deputy commissioner and upazila nirbahi officers across the country, on September 25 to press their demand to stop government attempts to pass a bill on qawmi madrasa education. Hefazat leaders urged the government to resume the operation of Diganta and Islamic TV and release Amar Desh Editor Mahmudur Rahman and Odhikar’s Secretary Adilur Rahman Khan.